TOKYO, Japan, June 17, 2012 (ENS) – A group of Japanese local government elected officials is protesting the decision of Prime Minister Yoshihiko Noda’s government to restart a nuclear power plant. Last week the Noda government decided to restart two nuclear reactors at the Ohi nuclear plant in Fukui Prefecture, central Japan. It will be the first nuclear power plant to resume operation since all of Japan’s 50 nuclear reactors were shut down after the disaster at the Fukushima Daiichi plant. 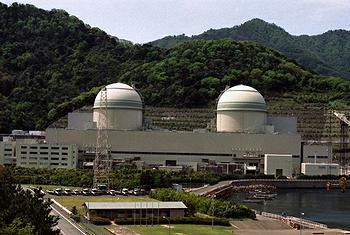 Since May, no nuclear plants have operated in Japan due to inspections and safety concerns. Under the banner Mayors for a Nuclear Power Free Japan, the group of 73 serving and retired mayors held a news conference Sunday to protest the plan to put the Ohi plant back online. Secretary General of the group, Kimiko Uehara, former mayor of Kunitachi City, part of the Tokyo Metropolis, read a statement accusing the Noda Government of sidestepping efforts to ensure nuclear safety. The statement criticized the decision to restart the Ohi plant under makeshift safety standards and before setting up a new nuclear watchdog. 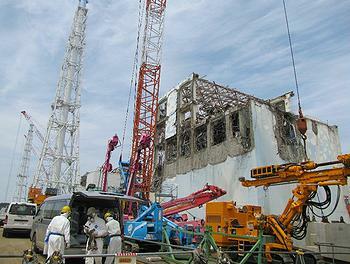 The safety checks were required after the March 11, 2011 earthquake and tsunami triggered nuclear fuel meltdowns at Tokyo Electric Power’s Fukushima Daiichi nuclear power plant. Radiation was released into air soil and ocean and hundreds of thousands of residents were forced to evacuate the area. Tatsuya Murakami, mayor of Tokai Village in Ibaraki Prefecture, said the government decided on the Ohi restart despite insufficient safety tests and with only the consent of the host communities. Mayor Murakami said he was angry over the decision, adding that he has renewed his resolve to have the nuclear plant in his village scrapped. The Japan Atomic Energy Agency and other organizations currently operate nuclear technology research facilities in Tokai. The village was the scene of a nuclear criticality accident which occurred at the JCO nuclear reprocessing plant on September 30, 1999, which killed two people. It was the worst civilian nuclear radiation accident in pre-Fukushima Japan. The mayors plan to submit their letter of protest to Prime Minister Noda on Monday. Noda last week gave a televised address calling for a resumption of nuclear power generation to protect people’s livelihoods. All legal barriers to a restart of the Ohi nuclear power plant have been cleared. Fukui Prefecture and Ohi Town have both endorsed the restart, and the central government says safety tests show the reactors can withstand an earthquake and tsunami as powerful as those that struck the Fukushima Daiichi nuclear plant in March 2011. The Ohi power plant serves the Kansai region, including the cities of Osaka and Kyoto. Kansai Electric Power says that without the plant, demand for electricity would exceed supply by about 15 percent during the summer. 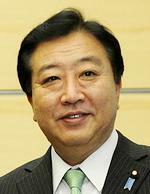 The government decision came after Prime Minister Noda met Fukui Governor Issei Nishikawa in Tokyo June 9. Governor Nishikawa said he agreed to the restart because Noda pledged his government would increase its efforts to ensure safety. Around the prime minister’s office where the meeting was held, about 400 people held a rally, holding signs saying they oppose the restart of the Ohi plant because the safety of nuclear plants has not been assured. On Saturday, thousands of demonstrators in Tokyo and other cities and towns voiced their criticism of the prime minister’s declaration that the Ohi plant is safe. Earlier this month, about 1,300 people from Fukushima Prefecture filed a criminal complaint against Tokyo Electric Power Co. Chairman Tsunehisa Katsumata and 32 others, including former TEPCO president Masataka Shimizu and Nuclear Safety Commission chief Haruki Madarame, accusing them of professional negligence resulting in death and injury. The complaint, filed with the Fukushima District Public Prosecutors Office, alleges that the 33 accused were responsible for causing the nuclear disaster at the Fukushima Daiichi plant and the exposure of the plaintiffs to radiation. It alleges the officials neglected to take disaster countermeasures, despite the frequency of earthquakes in Japan and indications by experts of the possibility of tsunami. Click here for TEPCO’s latest technical report on its work to stabilize and isolate the damaged Fukushima Daiichi nuclear plant.